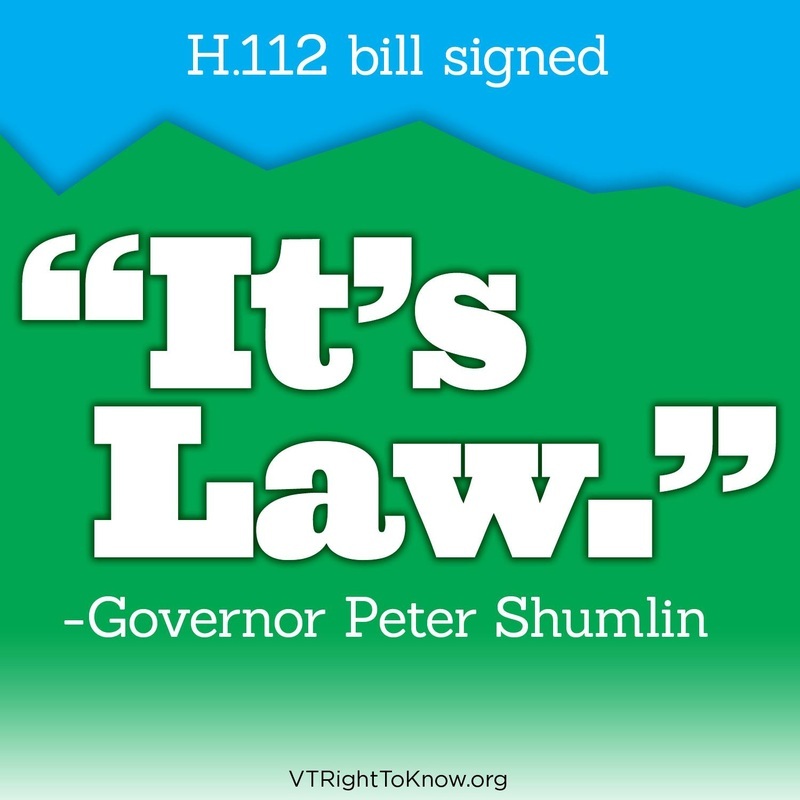 A new law in Vermont, Act 120, and an accompanying rule, Consumer Protection Rule 121, require that food produced with genetic engineering (GE) be labeled as such. The law applies to raw agricultural products like corn and squash as well as processed foods such as crackers, soda, and cereals. It will affect several sectors of the food industry, including producers, processors, distributors, and retailers. The labeling requirement goes into effect on July 1, 2016. The answers to the questions below will help the public understand the labeling requirements and the timeline for implementation. This FAQ, along with formal guidance issued by the Attorney General’s Office, is intended to provide general information about the applicability of the law but should not be considered legal advice. This FAQ is split into four categories of questions: General, Manufacturer, Retailer, and Consumer. You can skip ahead to any of these questions by clicking on the hyperlinked words. 1. Are any foods exempt from the labeling requirement?  Whole animal products or products produced entirely from an animal, and food that requires USDA approval of its label. o For example, meat, milk, plain yogurt, or eggs. labeled if they include ingredients produced with GE.  For example, chocolate milk or flavored yogurt.  Any processed food where GE materials do not account for more than 0.9% of the total weight of the food. o For example, a salad dressing that contains only a small amount (no more than 0.9% by weight) of corn syrup produced from GE corn and no other GE material would not be subject to the labeling requirement.  Any processed food produced with a GE processing aid or enzyme that would otherwise not be subject to the labeling requirement. o For example, cheese made with vegetarian GE rennet. Annotated are exempt. This does not include beverages with less than 1% alcohol by volume. agricultural commodity or processed food can qualify a food for this exemption. The criteria for use of a sworn statement is detailed in CP Rule 121.03(b).  Food that an independent organization has verified is not knowingly or intentionally produced with GE.  NSF International’s Non-GMO True North Standard (http://www.nsf.org/services/by-industry/food-safety- quality/label-claims/gmo-transparency).  Foods prepared for immediate consumption and not packaged for retail sale. o For example, a meal at a restaurant or hot soup at a deli.  Medical food. o Medical foods, defined by federal law and regulated by the FDA, are formulated to be used under medical supervision and are intended for the specific dietary management of a condition. Medical foods are not generally available to the public. Who will enforce the labeling requirement? 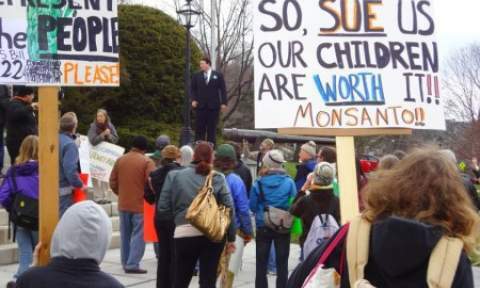 The Vermont Attorney General’s Office is responsible for enforcing the GE Labeling Law. 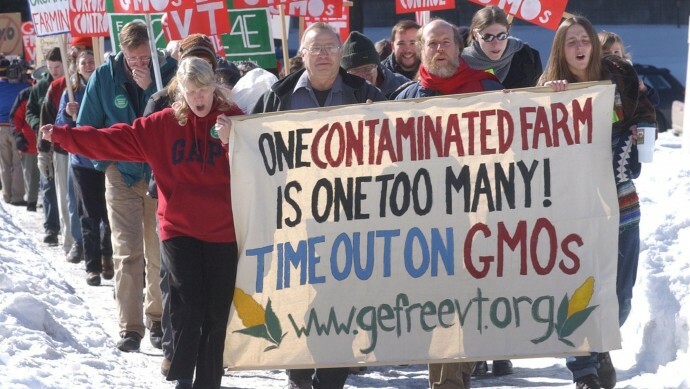 When will the GE Labeling Law go into effect? The requirement for labeling food produced with GE goes into effect on July 1, 2016. Does it matter where the food is sold? Are any types of establishments exempt from the labeling requirements? Yes. Restaurants and other food establishments primarily engaged in the sale of food prepared and intended for immediate human consumption are exempt from the labeling requirement, except for the food they sell that is packaged for retail sale. For example, food trucks, sandwich shops, and restaurants that do not offer items for retail sale are exempt from the labeling requirement. However, retail items sold at a restaurant, such as a jar of pasta sauce or a bag of potato chips, must be labeled if they are produced with GE. For example, a ready-to-eat hot dog or sausage at a convenience store, a sandwich at a supermarket deli, or a hot slice of pizza at a general store do not need to be labeled. Has the procedure for Independent Verification Organizations to receive approval been established yet? Yes, the procedure for applying to be an Independent Verification Organization, as well as the rubric applicants will be assessed on, can be found here on the Attorney General’s website. Are all dairy products exempt? No. Dairy products that contain added non-animal derived ingredients that are produced with GE, such as beet sugar, corn syrup, or certain flavorings, are not exempt from the labeling requirement. Are eggs from chickens fed GE feed required to be labeled? ingredients (e.g., corn syrup, spices) are exempt from the labeling requirement. No. All foods offered for retail sale in Vermont must be labeled if they are produced with GE and no exemption is applicable. 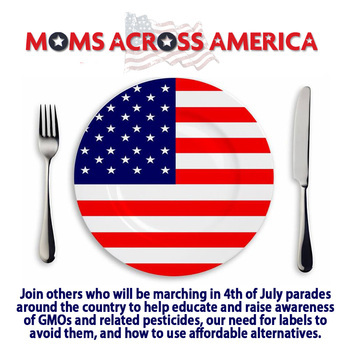 However, infrequent and incidental sales, such as school bake sales, are not considered “retail sales,” and foods offered for sale at such events need not be labeled. 10. If my product contains GE material, what can my label say? agricultural commodity or a processed food and whether it is packaged or unpackaged.  A packaged raw agricultural commodity, such as a separately packaged summer squash, must be labeled “produced with genetic engineering” if it is a product of GE. The manufacturer(s) who packages and labels the food is responsible for this label. See CP Rule 121.01(16); CP Rule 121.02(b)(i).  A raw agricultural commodity produced with GE that is not packaged, such as sweet corn sold by the ear, must be labeled on the shelf or bin where the produce is displayed with the statement “produced with genetic engineering.” The retailer is responsible for this label. See CP Rule 121.01(25); CP Rule 121.02(a)(i).  A packaged processed food, such as a box of cereal, must be labeled with one of the following statements if it is offered for retail sale in Vermont and contains ingredients produced with GE. The manufacturer(s) are responsible for this label. See CP Rule 121.01(16); CP Rule 121.02(b)(ii).  Unpackaged processed food, such as bulk granola sold by the pound or a dozen bagels sold at an in-store bakery, must be labeled with one of the above statements if it is offered for retail sale in Vermont and contains ingredients produced with GE. The retailer is responsible for this label. See CP Rule 121.01(25); CP Rule 121.02(a)(iI). 11. Does the label have to be on the front of the product? found by consumers when viewing the outside of the package. 12. What other requirements must my label meet? o In a font size no smaller than the Ingredient List required by the FDA, and printed in bold type-face. Is the Vermont Agency of Agriculture, Food & markets planning to test my products for GE materials as part of GE Labeling enforcement? No. 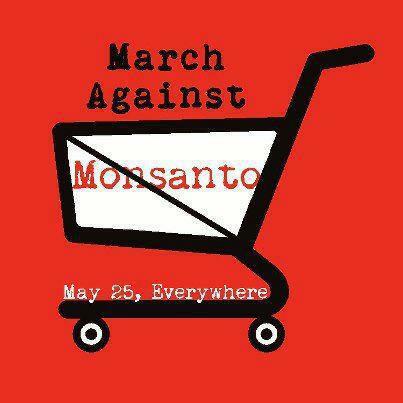 The Agency of Agriculture is not responsible for testing or enforcement of the GE Labeling Law. Which organizations have already been approved as Independent Verification Organizations and where can we check to see the organizations that are accepted? As authorized Independent Verification Organizations, these organizations can provide manufacturers and retailers with verification that the food they produce or sell, or an ingredient they use in the production of food, has not been knowingly or intentionally produced from or commingled with food or seed produced with GE. Is confirmation by a designated Independent Verification Organization that my product was not produced with GE sufficient on its own to exempt my product from labeling, or do I still require sworn statements? A product that meets any of the requirements for exemption does not need to be labeled under the law; if an authorized Independent Verification Organization determines the product is not produced with GE, that is sufficient for exemption without further standards being met. If there are no GE variations of a product’s ingredient available in the marketplace, is independent verification or a sworn statement necessary? If no GE variations exist for an ingredient, the manufacturer should keep documentation attesting to that fact, as well as documentation confirming no commingling occurred. A sworn statement would be sufficient to meet those requirements. Would a supplier questionnaire asking if a product or ingredient contained any GE components suffice as a sworn statement? To be considered a sworn statement, a document must contain the affirmations set forth in CP Rule 121.03(b), and be signed by the person making the affirmations. 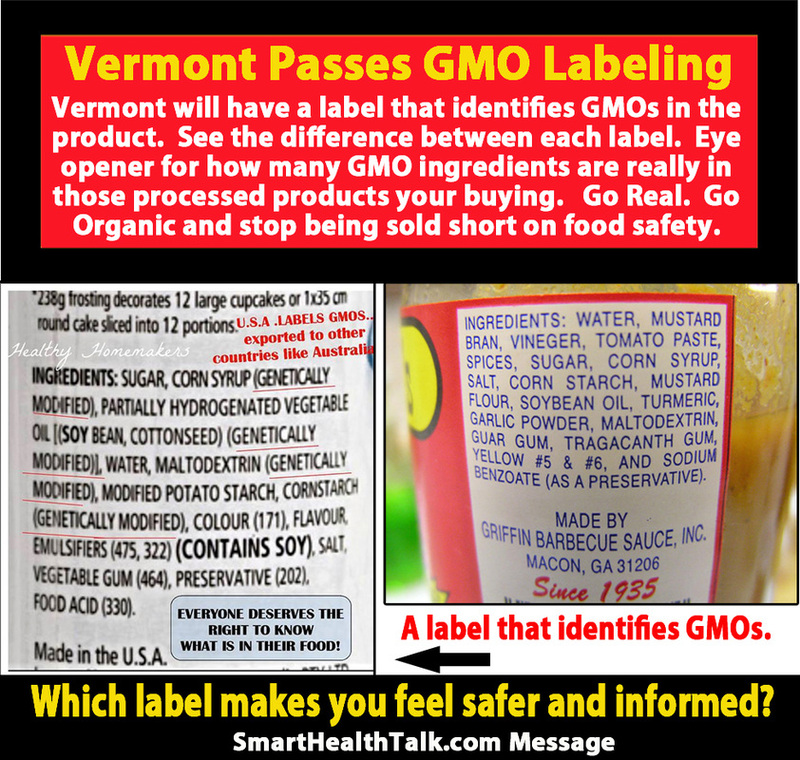 Are products using USDA “generic” labels also exempt from Vermont’s labeling requirement? C.F.R. § 412.2, or sketch, special statement and claim, or temporary claim approval, pursuant to 9 C.F.R. § 412.1. If I produce a product that contains butter, milk, or meat, will it be exempt from the labeling requirement? Not necessarily. Only foods derived entirely from animal products or foods that require USDA approval of their labels are exempt from the labeling requirement. Illustration: Joe’s Crackers are made with wheat, butter, and soy. Because Joe’s product contains more than just animal products, his crackers must be labeled if they contain ingredients produced with GE. 20. Does GE grain produced for animal feed need to be labeled? No. 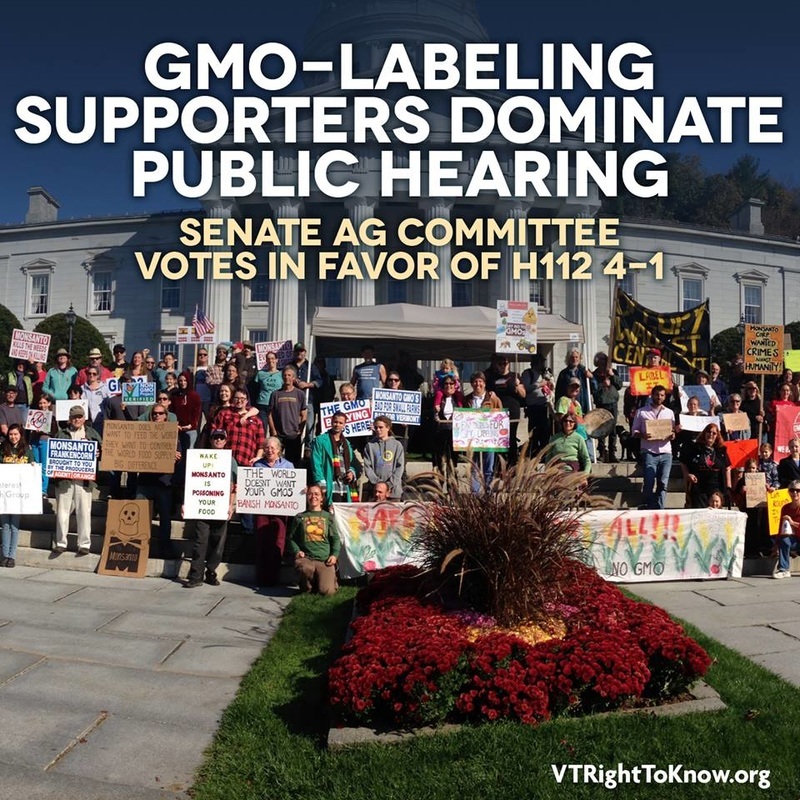 Act 120 specifies that food produced for human consumption must be labeled if it is produced with GE and offered for retail sale in Vermont; animal feed produced with GE is not required to be labeled. 21. Are bacterial cultures used in dairy manufacturing exempt from GE labeling as well? If the bacterial cultures used in the process meet the definition of “processing aid,” CP Rule 121.01(18), or make up less than 0.9% of the total weight of the food they would be exempt from labeling. 22. I make cheese with vegetarian rennet that is produced with GE. Do I need to label my product? No. If the only GE ingredients in your product are processing aids or enzymes you do not need to label your product as produced with GE. 23. Is honey considered an animal product exempt from the GE Food Labeling Law. Yes. Because honey is produced by bees and no bees are currently produced with GE, honey, like other products derived entirely from animals, is exempt from the labeling requirement. 24. What if a product contains only trace amounts of GE materials? A product in which materials produced with GE, in the aggregate, make up no more than 0.9 percent of the “dry weight” (i.e., not including added water and salt) of the product does not require a GE food label. 25. Do I need to provide an affidavit stating that my product is not produced with GE if it is USDA Certified Organic? No. Certification under the National Organic Program verifies that USDA Organic foods are not knowingly or intentionally produced with GE. 26. Can a sticker or stamp containing the required GE disclosure be placed on a product’s label to bring it into compliance? Yes, it is acceptable for the required disclosure to appear on a product in the form of either a sticker or stamp as long as all disclosure criteria are met, and the sticker or stamp is such that it results in all disclosure criteria being present on the product when it is offered for retail sale. 27. Do I need to label my product “GE-free” if it does not contain GE materials? 29. For the purpose of considering "partially produced from" label statement, should exempt foods that are ingredients in the processed food be excluded from the base for calculation of the percent of genetically engineered content (for example, milk and milk products, enzymes, other processing aids)? No. For purposes of calculating the 75% threshold, manufacturers must include the full weight of the food, exclusive of added water and salt. See CP Rule 121.02(b)(ii)(B). 30. If a product that is not compliant with the GE Labeling Law was distributed into Vermont prior to July 1, 2016, and remains on the shelf after January 1, 2017, is the manufacturer still in violation of the law if they can prove distribution took place before the law went into effect? The Rule provides a safe harbor for foods distributed prior to July 1, 2016, and offered for retail sale until January 1, 2017. After that time, the manufacturer of any packaged, processed food that does not comply with the GE labeling law and is being offered for retail sale in Vermont could be liable for penalties, regardless of the date the product was produced or distributed. 31. What happens if a retailer in Vermont offers for sale a non-compliant product that it purchased out of state and was never meant for distribution in Vermont? All products offered for retail sale within Vermont retail premises must be labeled in compliance with the GE labeling law, regardless of whether the product was originally distributed into Vermont. 32. Am I responsible for contacting vendors and asking them to label the products appropriately? For packaged processed foods, it is the manufacturer’s responsibility to be in compliance with the GE Labeling law. The retailer is not responsible for ensuring the manufacturer is in compliance. 33. If I already have a product on my shelves that does not meet the GE Labeling Law’s requirements, and that product does not sell before January 1, 2017, can I be fined for keeping the product on its shelf past that date? Generally, if the product is a packaged processed food, no, compliance with the labeling law would be the manufacturer’s responsibility. If the product is an unpackaged food, then the retailer would be responsible for ensuring that it was correctly labeled, in accordance with the law. 34. Can I, as a retailer, place stickers or stamps on a product I did not manufacture to bring it into compliance? If a retailer chose to sticker a packaged, processed food produced by another manufacturer (and there may be additional legal considerations that arise from altering a manufacturer’s existing label, beyond the requirements of Vermont’s GE labeling law), the retailer could be considered a “manufacturer” under the law, and might be liable accordingly. 35. How will I know that processed foods that carry the label “Organic” do not contain foods produced with GE? While the National Organic Program (NOP) allows for up to 5% non-organic ingredients in processed foods, such as crackers, that carry the USDA Certified Organic label, the NOP specifies that the remaining non-organic ingredients in a processed food must not be the product of GE. Thus, all USDA Certified Organic foods are exempt from the labeling requirement as long as they are not knowingly or intentionally produced with GE, which is the standard articulated in Act 120. 36. Why have dietary supplements been exempted from the GE Labeling Law? 37. Will honey be labeled if the bees can access the pollen of GE crops or are fed GE corn syrup by the beekeeper? No. Because honey is produced by bees and no bees are currently produced with GE, honey, like other products derived entirely from animals, is exempt from the labeling requirement. 38. Is there a legal defense fund to help with the costs of defending the GE Labeling Law? How can I learn more about the fund or make a contribution? Yes. 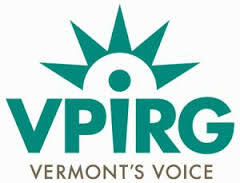 The “Vermont Food Fight Fund” is an initiative of the Vermont Governor’s Office. Follow this link to learn more about the fund or make a donation: http://www.foodfightfundvt.org/. 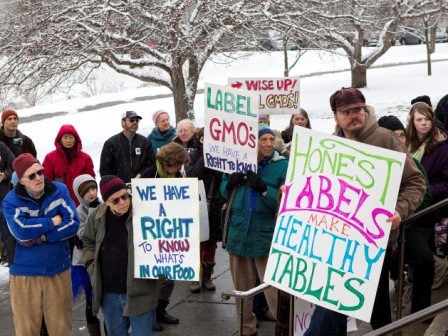 We welcome your input at ago.gefoodlabelingrule@vermont.gov, but please note you should not expect a direct response. 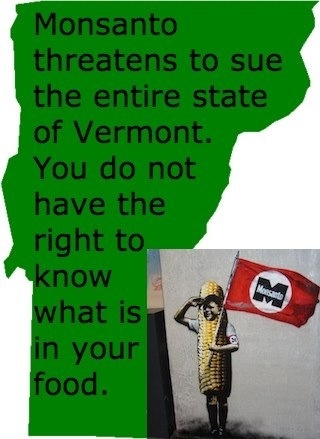 As the Attorney General operates as the attorney for the State of Vermont, we cannot provide you with legal advice. Our office has published extensive guidance regarding the GE food labeling law, including this FAQ and an annotated version of the rule. Please review these documents, as your question may be answered therein. Our office will update these documents periodically based upon concerns raised. If you do not believe your question is answered by the annotated rule or the FAQ, please consult with a private attorney. Please do not call the Attorney General’s main phone line with questions or to inquire about the status of our response. Additionally, we are unable to respond to inquiries left on voicemail.